Flowers make for some of the best looking designs for dresses, home décor, book covers – you name it! Roses, of all, have been used for ages as a gifting option and why not! They do make beautiful bouquets or even look good when used to enhance a dull corner! No wonder they are some of the most loved flowers, till date, and with Valentine’s Day right around the corner, are going to be circling around in abundance! With winter being their season, there will be roses aplenty, making it the perfect subject for your next DIY project! 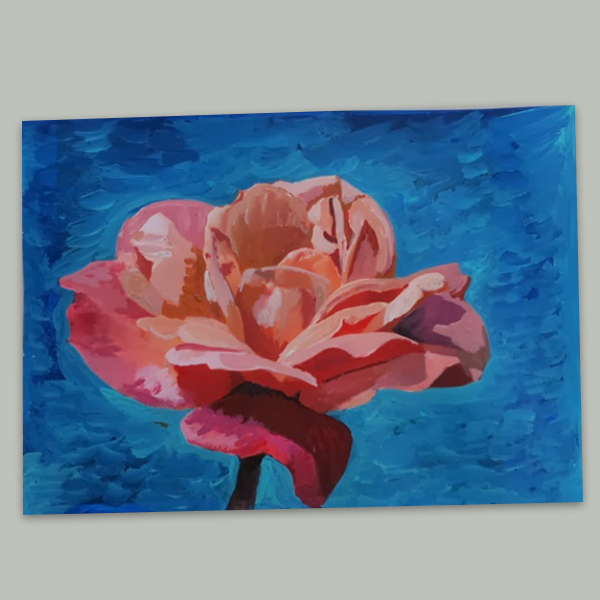 Rose painting is an art project that takes patience. Give it time, for it is worth it! 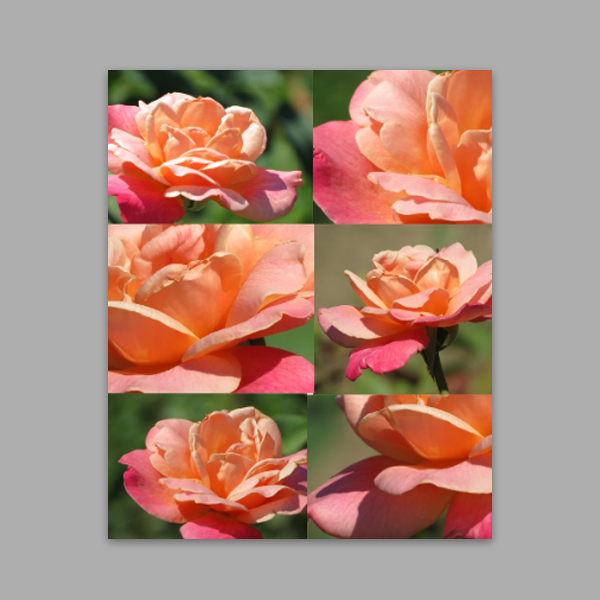 When it comes to painting roses, you can paint by looking at a picture of the flower. However, to be perfectly honest, there is nothing better than having real flowers placed in front of you when you paint. 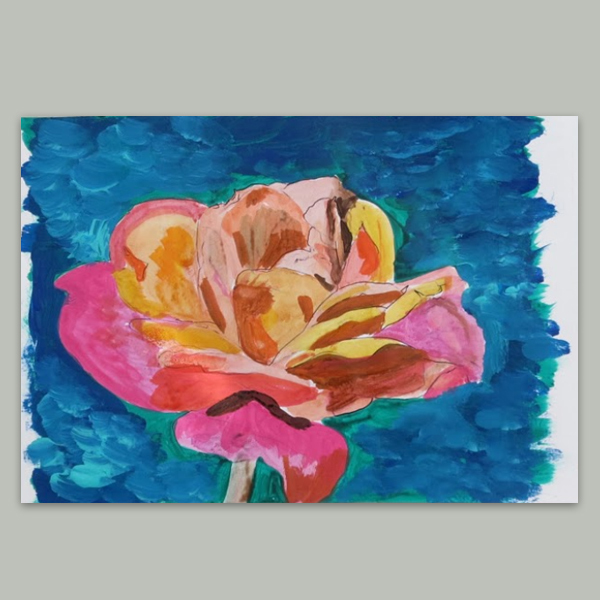 This helps you notice the depth of the flower, the way the light hits the petals, casting shadows and creating different hues on the flower. Here are steps that you can follow to create a beautiful art piece. We will be doing this project in two parts. The first part will be a sketch where you will rehearse all the spaces on the petals that will be a shade darker than the rest of the rose. The second part will be your actual painting. 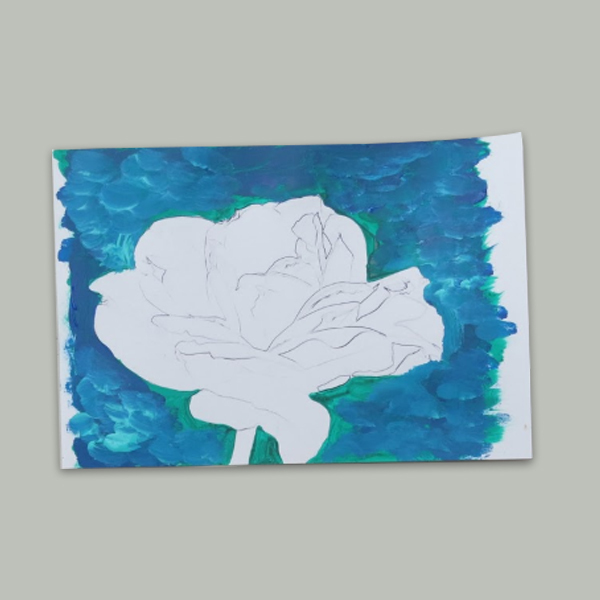 Before you begin on the painting, make sure you sketch the outline of the rose. This helps in figuring out the shape and composition you want as an end result. Pick the best angle of the rose and get sketching! 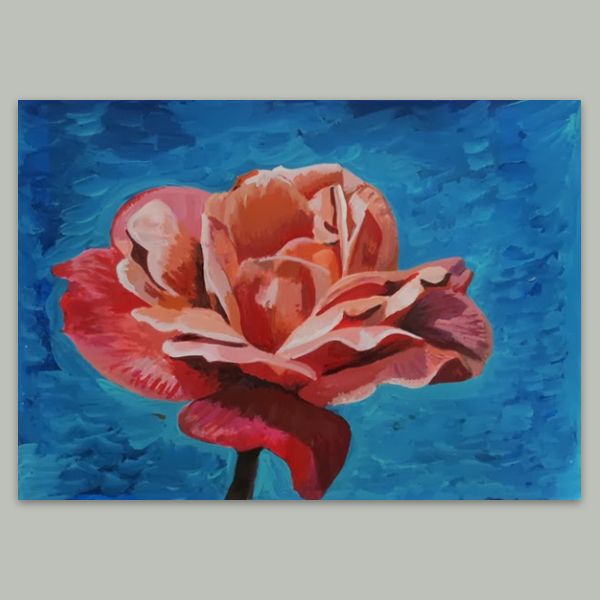 Observe the crevices between petals and note the spaces; you can replicate this effect in your painting. Using the black ink pen, add highlights and shadows to your sketch as shown in the image below. 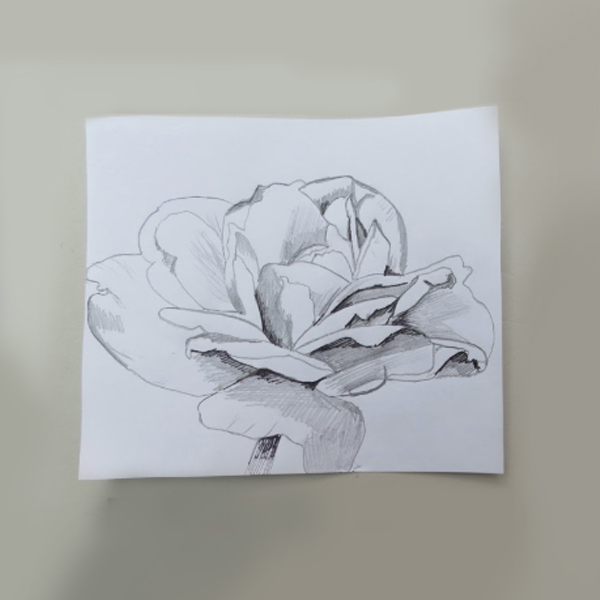 Sketch your rose onto a different paper. Start by painting the background first so that the rose stands out from the background. Now, with your acrylic colours, begin painting the petals of the rose. You don’t need to get specific at this stage. You can roughly paint different shades before blending them to make the rose look even more realistic. Your main aim at this stage should be to show individual petals. Begin by gradually filling in each of the petals. After a while, you will get the hang of it! 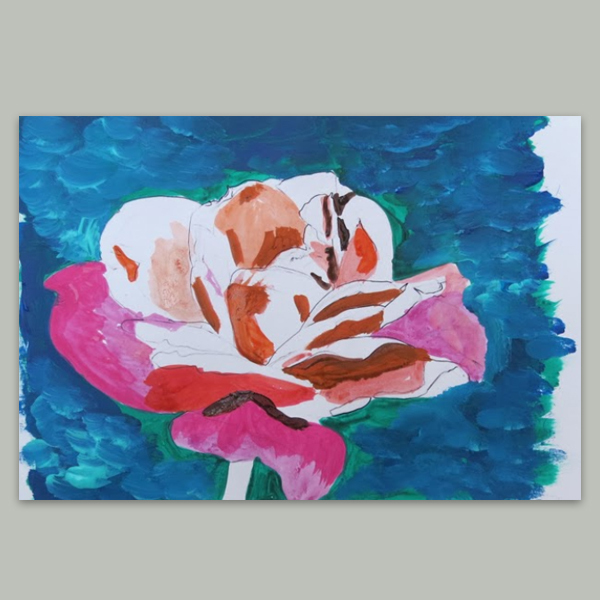 Once the flower is all filled in with a base layer of paint, you can start picking the shades of paint that you want to use to match the rose you are looking at. This is where you have to start adding more colours keeping in mind that you are trying to make the flower look realistic. After you have blended the colours to your fill, have a look at the painting once again and check if any areas still require any shading, or you need to add more depth to your painting. What previously looked flat will now begin to come to life, when you use the blending method correctly! Don’t worry if you didn’t get it right the first time you tried, keep practicing and you will get better over time. At this point, you can play around with the colours until you are happy with the results. Now, you can check to see if you want to add some more light to your painting. Done! 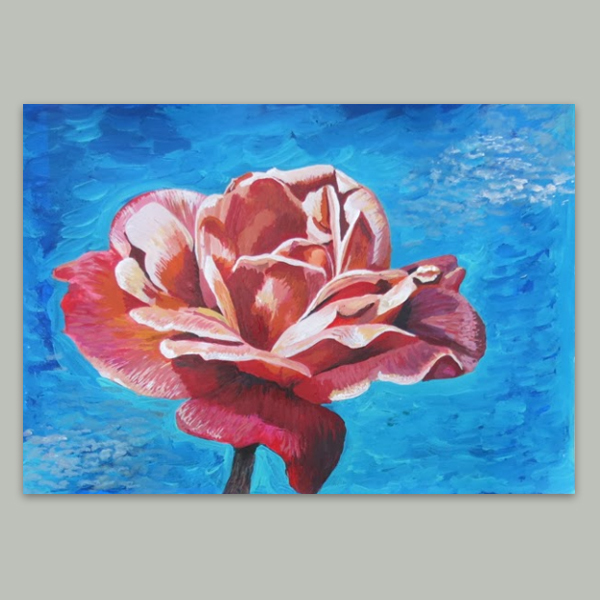 Your rose painting is ready is ready to be framed and flaunted! Did you enjoy painting roses with us? Do let us know in the comments below! Thank you for sharing the process with us! Great painting.